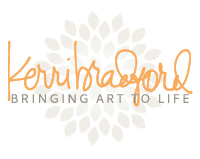 I have a new layout up over at Kerri Bradford Studio today. I've had this photo of the girls and their two cousins, taken several years ago, that I've been meaning to scrap for the longest time. You see, my girls don't have a ton of cousins. In fact, Alyssa doesn't have any first cousins at all. Her dad's sister, along with my brother and my sister, don't have kids and we're not exactly holding out hope that they ever will have kids at this point. However, on Joe's side of the family, his one brother has a daughter and his other brother has a step daughter. So Sarah does in fact have one cousin by blood, and one by marriage, and Alyssa has two by marriage. Confusing? I know Alyssa had a TON of distant cousins on her dad's side (I want to say third cousins to her), and both the girls have a few distant cousins on my side. But they didn't get to grow up playing with cousins at the family get-togethers, so it was always just the two of them for the most part. I've been slightly addicted to the same circle die cut background for the last year or so. I'm sure some of you may have noticed me using it over and over again, on so many of my layouts. It's just a favorite of mine, so it's become my "go-to" background design. I was excited to play with some of the backgrounds in the new Background Basics #3 kit this time around, and I choose the plus sign background for this layout. I cut it from a sheet of white textured cardstock, and then spritzed it with a few colors of misting spray before adhering it to another sheet of white cardstock. For my title, I wanted to go with a longer title, arranging it both above and below my photo. I love mixing and matching words and/or phrases from different kits, cutting each word and/or phrase from different patterned papers and cardstock. I dug up the word "cousins" from the All In The Family kit, and cut it from two different tone-on-tone patterned papers, which I layered together. The little banner was pulled from the Banners kit. I knew that I was going to use some alpha stickers for part of my title, so I sized the banner to fit directly below my photo to hold those stickers. 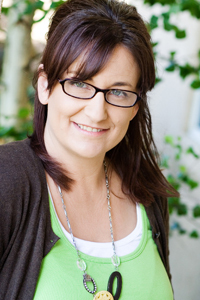 Kerri has a few choices when it comes to the word "grateful", but I went with the one from the Giving Thanks kit. I knew that I wanted to use the number "4", instead of using the word "four", as it would also represent the four girls. The Weathered Door Alpha kit is one that I turn to whenever I can't find exactly the word I'm looking for. Or in this case, the number I was looking for. All of my patterned papers on this layout are from Echo Park, but pulled from several different collections, both old and new. The plastic pink circle with the heart at the top of the layout was from a kit I got I a huge sale at Studio Calico, and I attached it with some chunky silver brads. And my little alpha stickers and the "beautiful" sticker are both from Bella Blvd. Hey everyone! I've got a new layout up over on the Bella Blvd blog today. I was brainstorming for a few new features on the Bella blog as I wrote up our August schedule, and I decided to start a new one called "Spread It Out", focusing on two page layouts. I knew I would pretty much freak out my layout designers, as I know a lot of designers do not enjoy creating two page layouts. Which is why I'm committing to creating a new layout for this feature each month, and then inviting/forcing (same thing, right?) one other designer to play along with me. I love to embrace the two page layouts, as I actually enjoy making them. 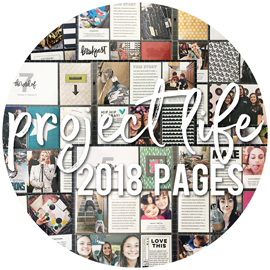 I think that's because I love to incorporate tons of photos onto them, and it's a great way to document all of those things that just can't fit on a single page layout. Like birthday parties, for example. Which is why I decided to scrap photos from Sarah's 9th birthday party for my first layout. 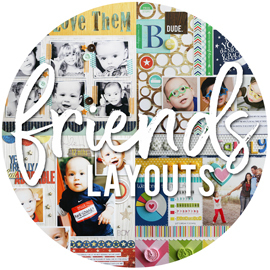 I mentioned this on Instagram a few days ago, but I'm so used to working with just ONE collection (and being told exactly what collection) when it comes to the majority of the layouts I create for Bella. Whether it's project sheet layouts, catalog layouts, booth work ... it's more limiting and you work within the assortment of papers in that one collection. So when I do have a layout to make, where I can really work with whatever collections I want, I get stuck. It's like I don't even know where to start in picking out my patterned papers (which is how I start all of my layouts). I have a HUGE stash of Bella papers, and it's not like one or two collections were calling out to me. I finally just pulled out a few of my paper holders, very randomly, and within just a few minutes, pulled out about 6-7 patterned papers, all from different collections. I didn't overthink it, which helped speed up the process. When it comes to the photos, I'm pretty sure you all know by now how much I love photo collages. I'm not one to make several layouts about the same event/moment, so I really try and incorporate as many photos as I can on my layout. 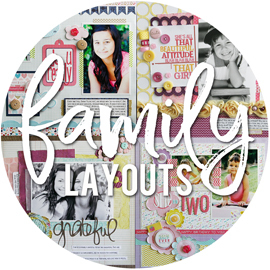 And when it comes to working a huge amount of photos onto a layout, photo collages are just a smart way to go. It keeps the photos contained and organized. I used templates from Kerri Bradford Studio of course, and created two separate collages with 8 photos in each. I also printed 3 photos individually, for a total of 19 photos on my two page spread. What I'm not showing here (mostly because it wasn't totally finished), is that I also printed 10 more photos that I slipped into a 6x12" divided page protector. I'll add that right in between these two pages in the album. So my total is actually 29 photos for this spread. I pulled out my favorite white grid patterned paper to hold my title and journaling. The overall design of this page is one that I do quite often, so I knew the basic placement of all of the elements on this page. I knew I wanted to use the Blueberry Sienna chipboard alphas for my title, and then added a die cut word and some alpha stickers to complete my title. And as always, I lost the dot to my "i", so I simply added a tiny enamel dot in it's place. I picked out patterned papers that coordinated with the colors in the photos, and that coordinated together as well. I did little debating over where to work in each paper, as it all just sort of fell together and balanced itself out. I didn't want the layout to be super patterned paper heavy, so I die cut a circle border from the yellow patterned paper to add to each side of the spread. Just a little way to break things up, and add a little "dimension", but in a flat way. If that even makes sense? I think this layout fits in perfectly with how I prefer to scrap. 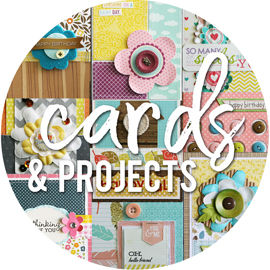 Lots of photos, lots of patterned paper, some die cutting, a title mixing chipboard/stickers/die cut words, and simple embellishments. I knew I would probably add some chipboard elements to embellish the page, and I lucked out when I pulled out a package of Hearts & Stars chipboard pieces, and found five stars that perfectly matched the colors on the page. I added a coordinating enamel dot to the center of each star. Head on over to the Bella Blvd blog to check out what our other designer created for this new feature. And continue to watch for it once a month, as it will usually fall on the third Thursday of the month. I know I've been absent from blogging a lot this summer. In fact, I've only blogged 16 times in the last three and a half months. Which is pretty bad. I have no clue what my average was before that. I mean, I could go count, but I'm not THAT curious to know. I just want you to know that I am totally aware that I haven't been around as much as I might have been before. Maybe that's because I honestly haven't scrapped that much the last few months. I've created a bunch of stuff, some of which I've already shared and a lot of which I can't share for a while. But I know that it feels like I haven't done that much lately, even though there are projects that I really do want to get done. It's that one little thing that stands in the way though. TIME. My summer months always feel so hectic and busy. But not because we're having tons of fun, going on daytrips and vacations, and just enjoying life. It's because we're working. Well, more so Joe and I, as the girls definitely had some time to relax this summer. Although, in their defense (especially my college girl), I think they needed a decent amount of downtime after the busyness of the school year. I've had all of these extra bodies in the house this summer. I had three summer daycare kids here with me. Although I did have one regular kiddo gone for the summer, since her mom just had a baby, and she got to hang out at home with them. I had my girls home for the summer, and most days, Sarah's boyfriend was here a lot too. Joe works nights, so he's here sleeping during the day. I'm shushing the kiddos in the morning, since the girls are still sleeping. And then I'm shushing my girls in the afternoon, while the kiddos all nap. I just don't get much done during the summer, since after working an eleven+ hour day with the kids (and squeezing my Bella job in there was well), I have no desire to do much of anything in the evenings. I can't lie though. It's been nice to step back from scrapping in a sense this summer. I didn't worry about getting stuff done. I wasn't thinking about projects I wanted to work on. I can definitely get caught up in the things that I want to do, and not give my full attention to the things that I need to do. This summer, however, I really do feel like I just enjoyed the moment. Ok, I didn't enjoy every moment (too many little ones takes a toll on my sanity!). But I was present more than usual. I've juggled a lot this summer, making a full time job and a part time job work, along with some freelance work here and there. We've spend several weekends doing much needed things around the house. We've been working, alongside Alyssa's dad (who honestly, did most of the work), to get Alyssa set up in an apartment across the street from the college for several weeks. And we've dealt with, and are still dealing with, the sudden loss of Alyssa's grandma from a very short battle with cancer. I've also dropped the ball on stuff, simple because I didn't want to worry about things that didn't have to be done. Nothing of any importance, mind you. Just things that I've been pushing to the side here and there, with the "I'll do that later" mentality. I guess now is about that time. Sarah went back to school about two weeks ago, starting her junior year of high school. Sigh. Alyssa is pretty much moved out and in her apartment now, and will be starting her sophomore year of college next Monday. Sigh. I have a two week "break" of sorts with the daycare kids. I still have four little ones here, but it's the least amount I've had all summer. I have my previous kiddo coming back in two weeks, and she's bringing her new baby brother! So that will be a big adjustment, I'm sure. Not to mention I have another daycare parent expecting a baby later this year. *** And since I didn't even chat about the cards, as they're self explanatory, they were both made for Bella Blvd for their summer release booth at the SPC show in July. Both used the new Fresh Market collection, and you can read about them both HERE. Hey everyone! So, as I started working on my most recent project sheet layout (see previous post) for Bella Blvd, I got to thinking about how many of these project sheet layouts I've made. I've been with Bella for over four years now, and started doing these layouts shortly after starting the job. One a month, for the last four years as of this last one. That's 48 layouts for 48 project sheets. It's not necessarily common knowledge, but I'm usually given a challenge for each of these layouts, along with being asked to focus on a particular collection or embellishment. I usually mention the challenge when I blog about the layout here on my personal blog. But it's not like most people would know that I had something I kept in mind when creating the pages. You'll definitely find some of the same photos used on different layouts. This happens. Especially with holiday type collections, as my girls are older now. Take Halloween, for example. I haven't taken Halloween photos in about five to six years. My girls are also "film babies", so their younger years are all on film and not easily accessible. So I do tend to pull the same photos out a lot, as I don't have a lot to choose from. Or I borrow photos from a few friends of mine to fit what I need. I counted and eleven of these 48 layouts have photos from my friends. I'll be honest here. Another thing that I run into is that sometimes I'm scrapping photos/stories/events that I've already scrapped. These memories are already documented and "in the books" so to speak. I think that happens a lot in the industry, whether it's something like creating these project sheet layouts, or when it come to magazine work. Every once in a while, I might actually like the new layout more than the one I created originally. But a lot of the time, these "duplicate" layouts end up in a random pile somewhere, and they may never make it into the albums. A few of these layouts have actually been taken apart, the good embellishments saved, and then the rest was tossed. I know some might cringe reading that, but it happens. Edited to add: If there layouts within this group that you are wanting to lift (I mention this, since I'm reading that in your comments), and you don't want to dig around for the individual project sheets, you can find all 48 projects sheets and download the ones you want RIGHT HERE. They come with a supply list and step-by-step instructions, all written by me! 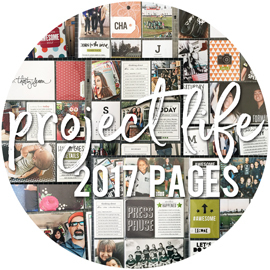 Today, over on the Bella Blvd blog, our August project sheet went up. For this month's layout, I was asked to use the brand new Fresh Market collection, circles, and Clear Cuts transparencies. The first photos that popped into my head for this layout were these adorable shots I took years ago of Miranda, a previous daycare cutie of mine. I had so many different photos to choose from, all with different facial expressions, and had to have a friend of mine help me narrow them down to just four photos. I printed these photos on my photo printer, and basically printed two photos, which each having 2 photos side by side. That way I only had to adhere two "photos" across the page, instead of four individual photos. I didn't really notice how those two center photos combined until I was editing the photos of my layout, otherwise I probably would have swapped them around. For the circles part of my challenge, I knew I wanted to arrange some patterned paper circles on the top half of the page, above my row of photos. To work in the Clear Cut transparency, I layered a piece of the Pickle Juice Confetti over my white cardstock background. It added more to the "circle" theme, and added some interest to my white background, without overwhelming the page. That yellow/orange "I was made for sunny days" circle started out as a 4x4" card on the Daily Details patterned paper. I was able to cut a circle from it, without losing any of the fun image. I usually use my old Creative Memories circle cutter when cutting circles for my projects. It's super handy, and less work than taking out my Silhouette for something as basic as circles. I cut a larger circle, from both the black/white polka dot patterned paper and white cardstock, to hold my title. I cut a few smaller circles from the black/white polka dot patterned paper, along with a few circles from the aqua scalloped border patterned paper. I arranged them along the top of the page, and then added some pink enamel dots and some stickers. The majority of my patterned paper strips on this page came from the Borders patterned paper sheet. The striped border along the top and bottom of the page, the aqua dotted borders above and below the photos, and the pink gingham border along the top of the page, all came from the Borders sheet. I'm a huge fan of the scalloped border stickers on the Treasures & Text sticker sheets, so I use those a ton on my pages. And you know I had to add lots of machine stitching, right? I rarely do a layout or card without it these days. I just love how much it adds to projects, and it also helps secure everything in place, should adhesive give out down the road. For all of the circles, I did my machine stitching before adhering them to the page. Just easier when you're working with circles. You can download our August project sheet, complete with supply list and step-by-step instructions, RIGHT HERE.